The Ford Mustang is an incredibly popular car, easily found anywhere in the United States. However, in recent years the Mustang has been plagued with some major shifting problems. Manual transmission users have reported the Mustang's shifter feels notchy or inaccurate and that the car will sometimes completely miss the shifts between the first to second and third to fourth gears. 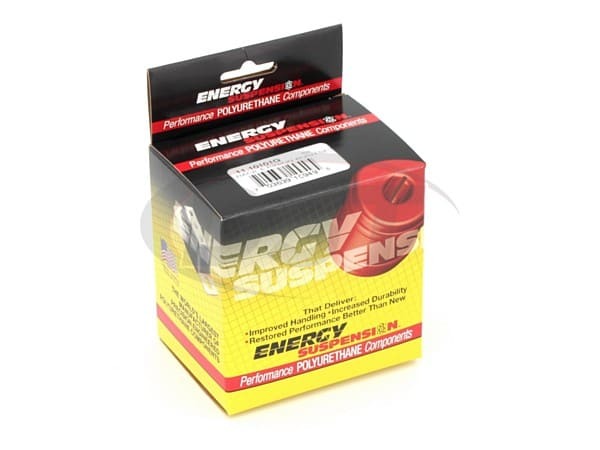 In response to these reports, Energy Suspension created a solution. 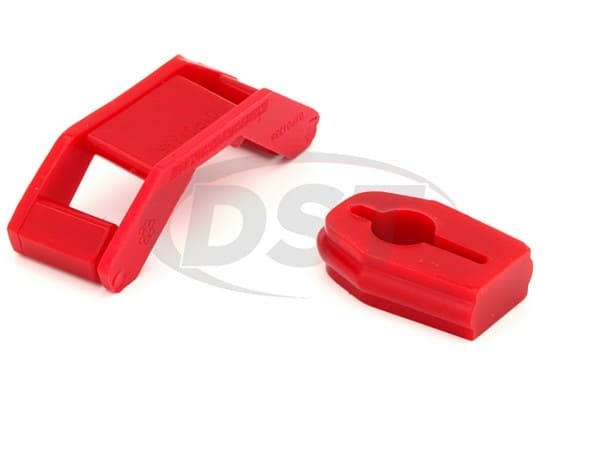 This is Energy Suspension's 4.1140, a shifter bushing and transmission mount insert made of solid polyurethane, designed specifically for Ford Mustangs. 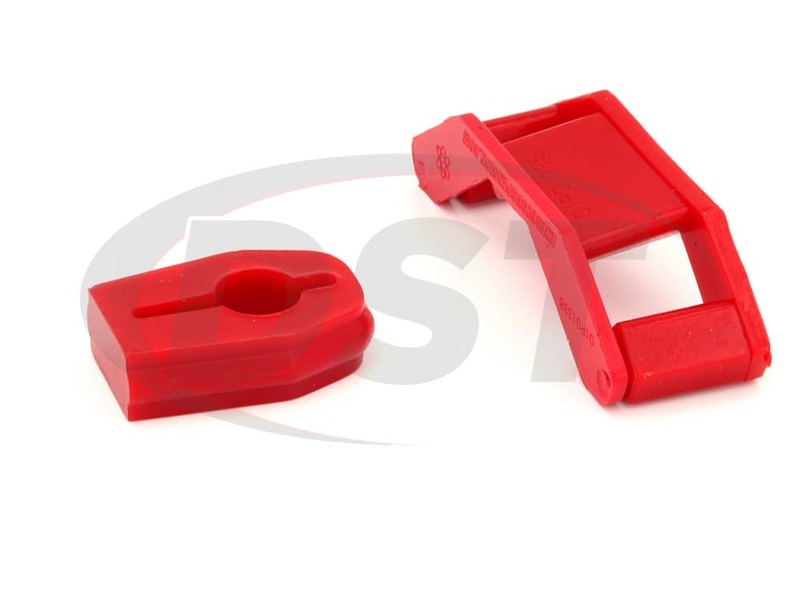 The OE shifter bushing on the Ford Mustang is made of soft rubber. 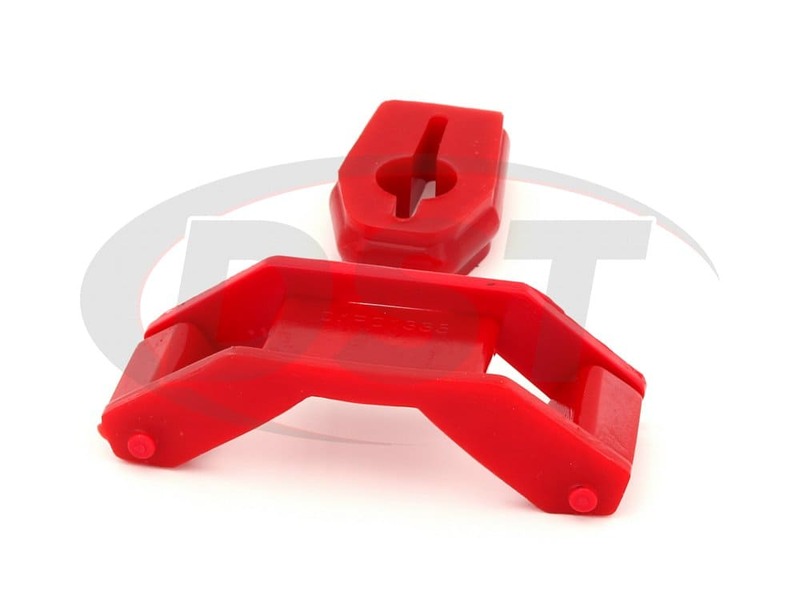 Due to this material's soft nature, the bushing doesn't offer much resistance, which results in a sloppy and inaccurate shifter. 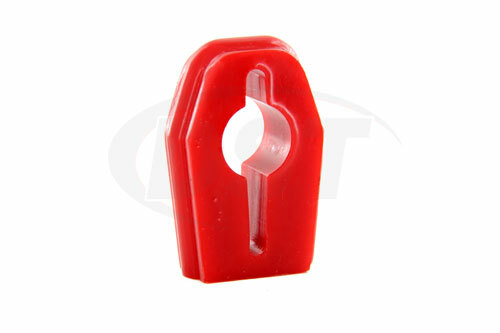 This rubber is also prone to warping and cracking over time, leading to that "notchy" feel. 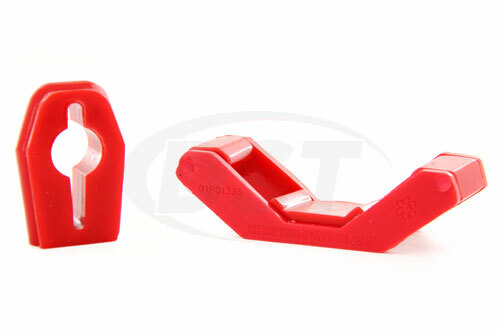 With Energy Suspension's 4.1140 that soft rubber is replaced by sturdy polyurethane, eliminating that "notchy" feel and making your shifter solid and accurate once again. 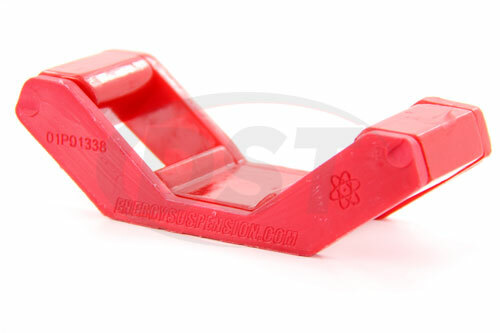 The Mustang's skipped shifts are caused by the OE transmission mount. 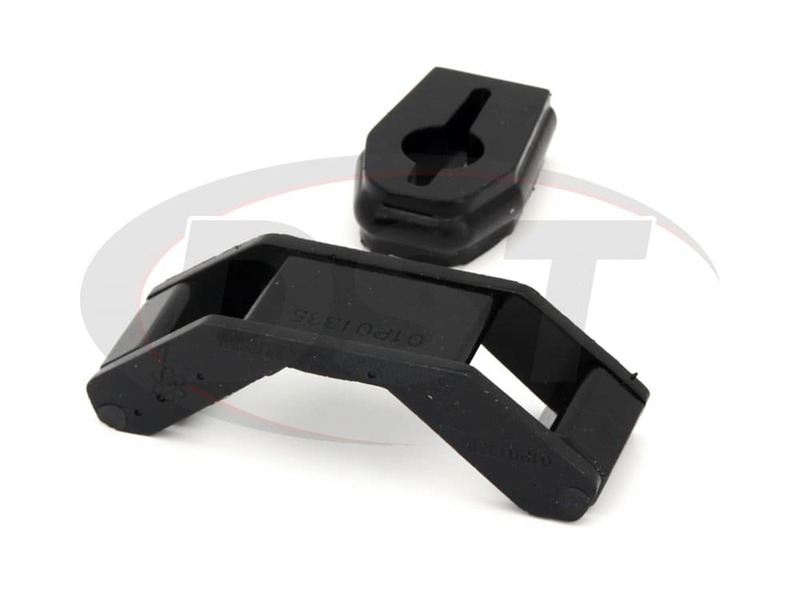 Poorly designed with an excessive number of voids, this transmission mount is prone to flexing, letting your transmission move side-to-side. Once this happens, your vehicle is no longer aligned properly, resulting in missed shifts. 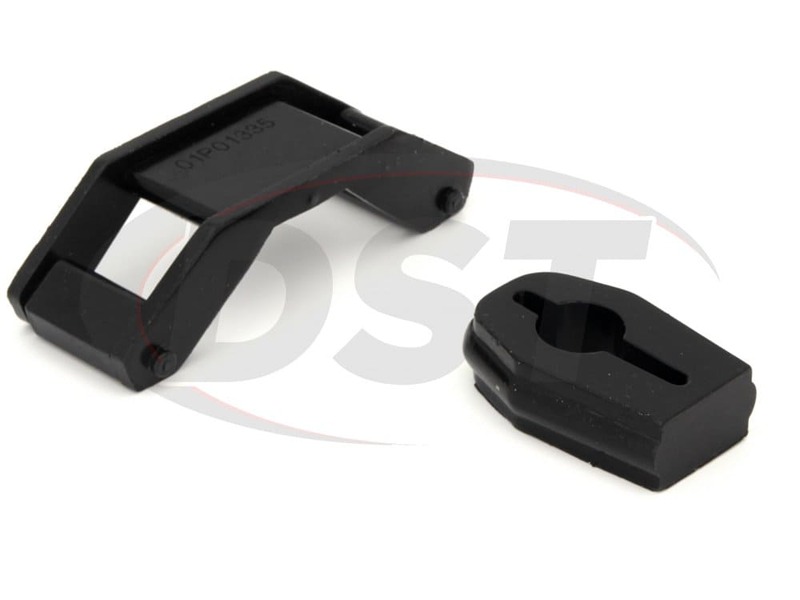 Designed to fit smoothly and easily into the worst of the OE mount's voids, Energy Suspension's transmission mount insert will greatly improve your Mustang's shifting performance after just one easy install. To top it all off, the 4.1140 is covered by Energy's two-year warranty, handled in-house for our customers here at DST.